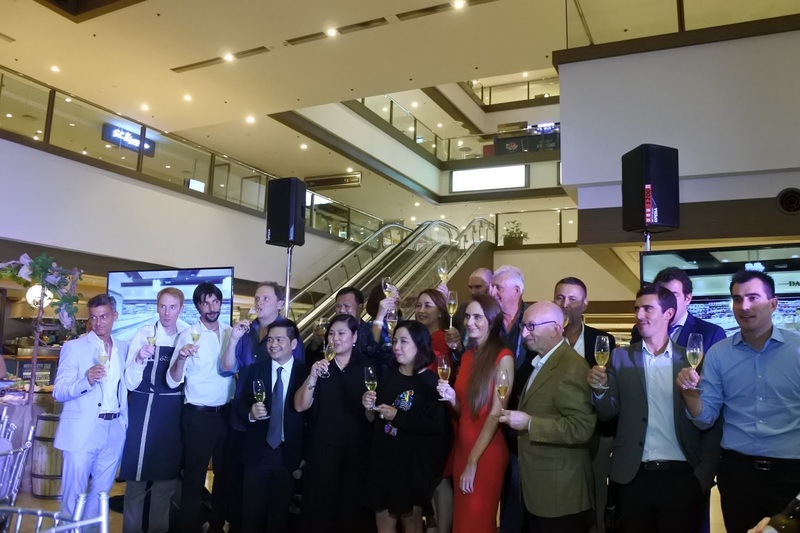 It's that time of the year again when wine overflows at the Marketplace by Rustan's World of Wine Festival at the Shangri-La Plaza Grand Atrium from September 28 to 30, 2018. 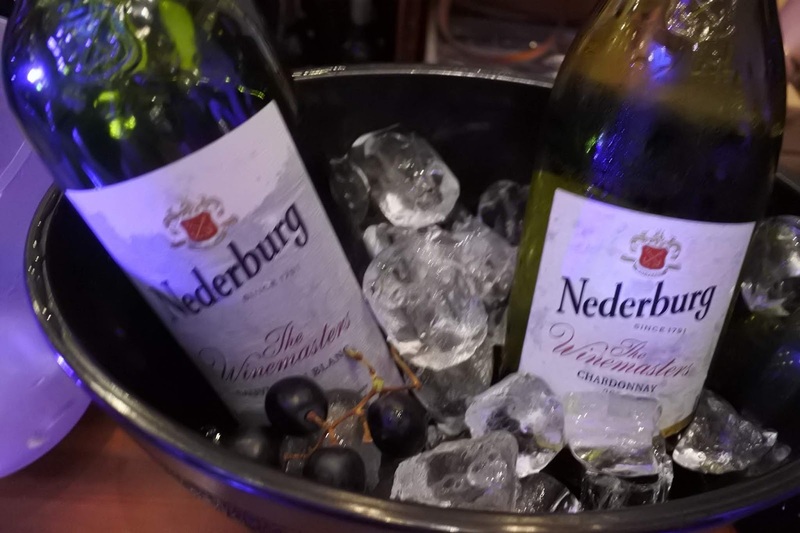 This year's wine fair highlights premium wines and choicest selections from winemaking countries that includes Italy, Argentina, USA, France, Germany, Chile, and many more. 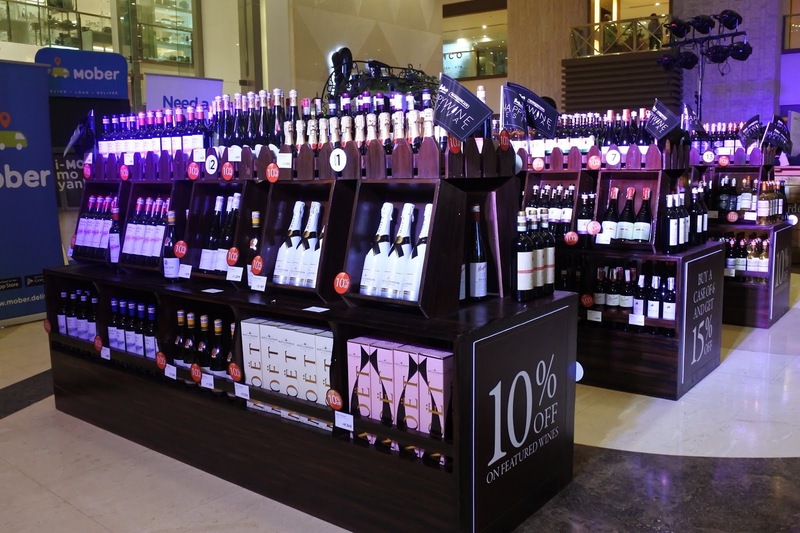 Aside from exclusive rates, shoppers will also have the chance to learn more about wine culture from respected winemakers and wine experts around the world. 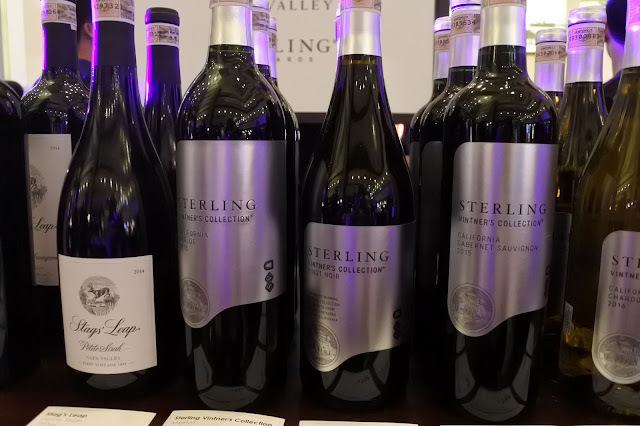 Some of the featured wines are the iconic Torlasco Barbaresco DOCG 2013, the rare Chateau Leoville Las Cases Saint Julien 2010, and the world renowned Terre Di Pozzo Amorone Della Valpoicella DOCG 2014, and several others. 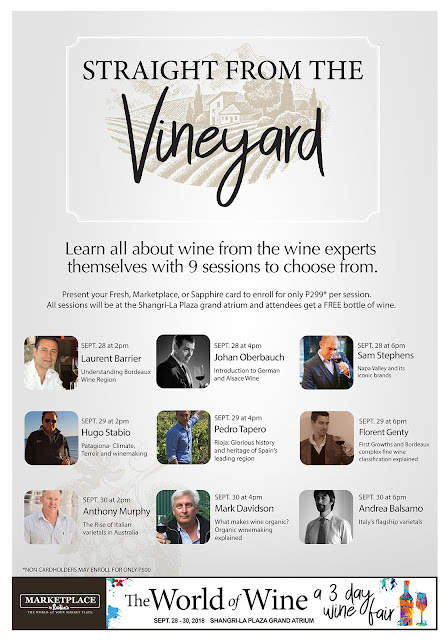 The Straight from the Vineyard sessions is an interactive activity with 9 renowned winemakers who will talk about history and heritage of the Rioja wine region to the complex wine classification of Bordeaux. To register, just present your Fresh, Marketplace, or Sapphire card at any Marketplace by Rustan's branch and pay P299 per session. Non-cardholders can join the session for only P500. Participants will walk home with a free bottle of wine. Customers will receive 10% discount off on all bottles, and additional 5% (15%) if getting 6 or more bottles. A P5,000 or more purchase are entitled to a free delivery. You can also earn a raffle ticket for a minimum spend of P1,000 from September 27 to 30, 2018. Raffle prizes includes: 2 Swarovski Gift Certificates worth P20k, 2 Apple iPads (32GB), and a trip for 2 to Napa Valley with a private vineyard tour of Beringer. But that's not all, the grand prize is a trip for 2 to France, with a 2-night stay at the Lamouthe Mansion and Vineyard to enjoy how their wines are made. Savor the rich and full-bodied wine at the World of Wine Festival at the Shangri-La Plaza Atrium until September 30, 2018 and continue enjoying exclusive discounts at the Happy Wine Festival by shopping at Marketplace by Rustan's branch till October 7, 2018. 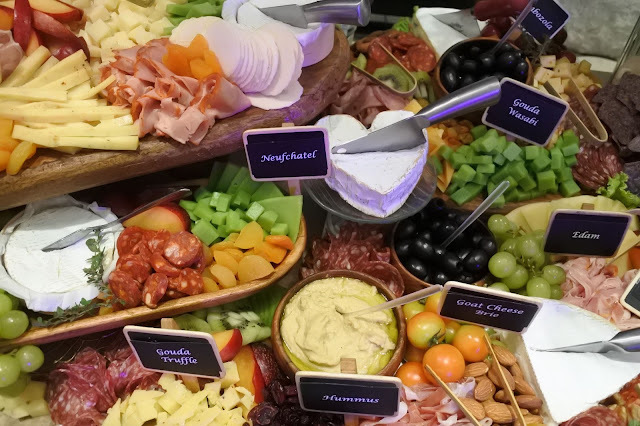 But the treats doesn't end there, pair your wine with cheese and cold cuts available at the Fromagerie & Charcuterie section at Marketplace by Rustan's. Sante'!